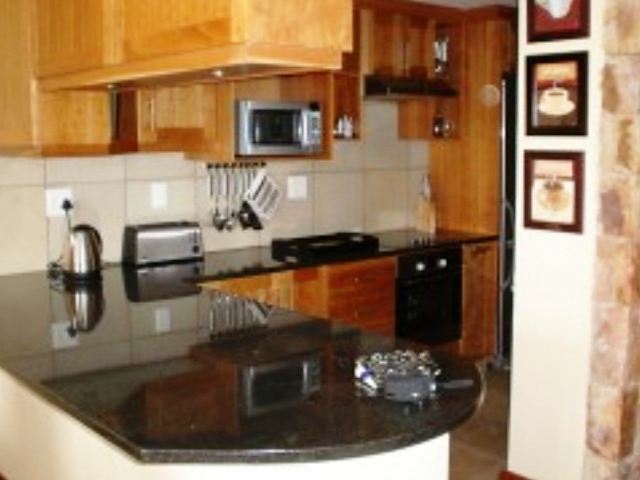 6 Village Falls is a self-catering holiday apartment located in Oubaai Golf Estate, which is the ultimate golfing estate on the Garden Route. 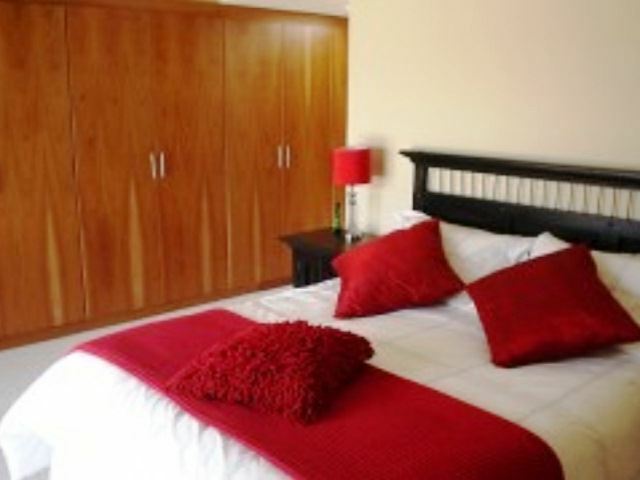 It is the perfect getaway for golfers and holidaymakers alike. 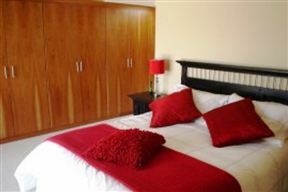 The apartment has two en-suite bedrooms with a double and twin beds respectively. 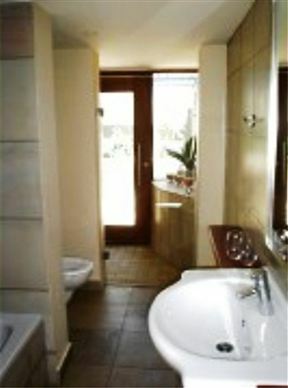 The double room has a full bathroom, while the twin room has a bathroom with a bath only. A sleeper couch is also available for an additional two people. The kitchen is fully equipped with a stove, an oven, a fridge-freezer, a microwave, a dishwasher, and tea and coffee facilities. A washer-dryer and ironing facilities are also available. 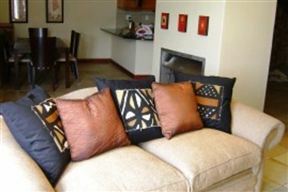 The lounge is comfortably furnished and equipped with a Satellite TV, with most sport channels, and a DVD player. 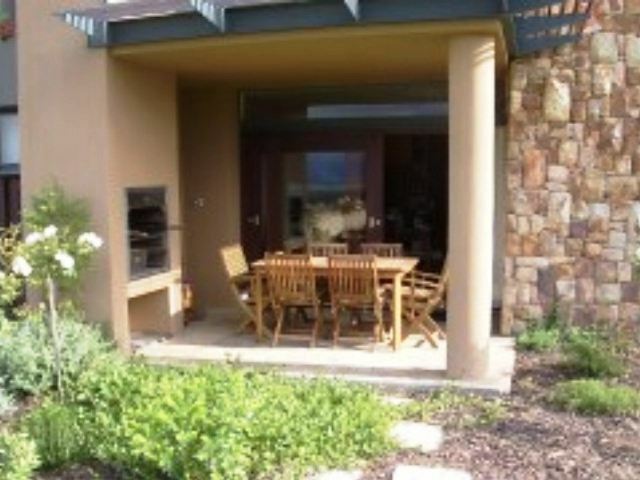 Guests can have a barbecue on the covered patio and enjoy the beautiful view of the Outeniqua Mountains and the driving range. Parking is available in the garage and an extra parking space is also available. There is a golf cart charging unit at the front door and a cleaning service is also available on request. Oubaai Golf Estate is very child-friendly and children of all ages can enter the clubhouse, which serves breakfast, lunch and dinner. We can arrange childcare while mom and dad to play a round of golf together. 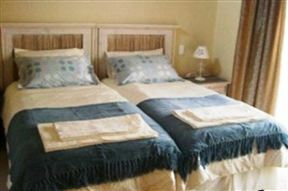 Herolds Bay is popular for surfing, fishing and swimming; it is only 15 km from George. 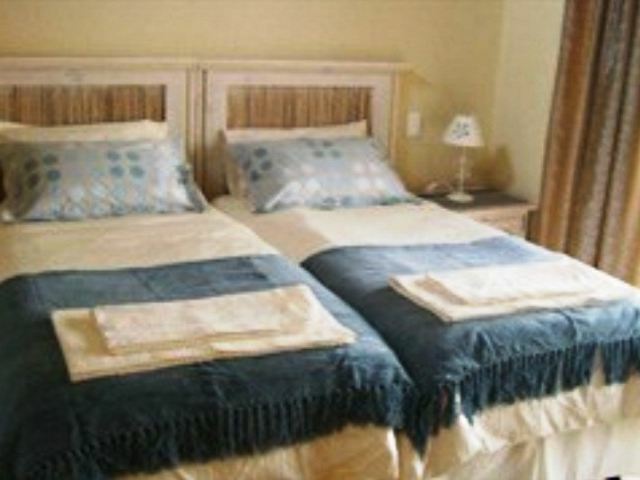 Ideal for a family, the two bedrooms offer a double bed and twin beds respectively; the main bedroom has a full en-suite bathroom and the other a bathroom has a bath only. There is a sleeper couch for an additional two people. 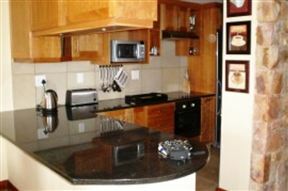 The kitchen is equipped for self-catering with a fridge-freezer, a microwave, a stove, an oven, a dishwasher, and tea and coffee facilities. Laundry facilities are also available. The comfortable lounge is equipped with a Satellite TV and a DVD player. 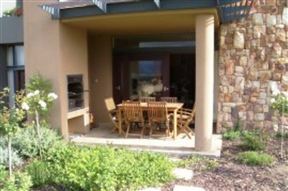 A barbecue is available on the covered patio and guests have a view of the Outeniqua Mountains and the driving range.